When you think of a summer patio, porch or garden area what do you imagine? Furniture, water feature and of course large garden containers filled with flowers & sweet smelling plants. In this post we would like to share a few tips we hope that you haven't thought of and find helpful. Every year you notice that by mid summer your garden containers are looking a bit worn, tired and faded. When the temps keep climbing your planters keep shriveling and you wonder what can you do. Here are a few tips we think are good. 1. 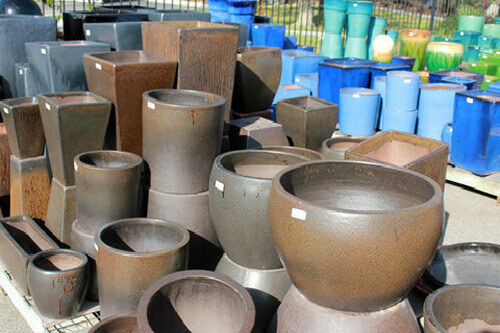 Pick a perfect pot for your plants and flowers. Make sure you start with a container that is not too small. If the pot is to small it will crowd the potted plants roots and the plant will suffer. The roots of a healthy plant need room to grow, availability to water and nutrients from the potting mix. 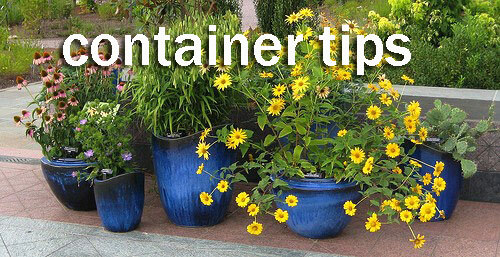 Containers to large will hold moisture leading to rotting roots, lack of oxygen and basically drowning. Fungus loves moist areas and this is not good for your flowers or plants. 2. Have a plan in advance. 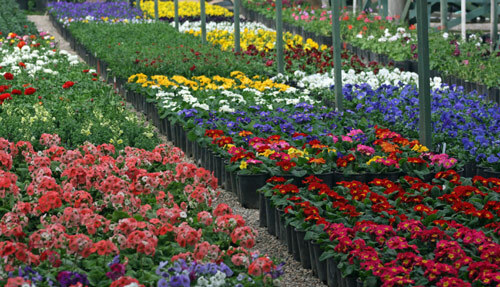 A garden center can be like a toy store for adults. You want to get everything you see from colorful flowers to garden containers. Impulse buying isn't always the best way to go. Choose plants that are good for your area. Make sure you place the planters in the best conditions for that type of plants needs for light and climate, direct sun or shade. Mix up the container with plants of different heights and blooming schedules so the planter stays fresh longer and has a interesting look. 3. Start with good potting mix. We can't stress this enough. Never use ground dirt. It doesn't have the nutrient rich properties your flowers will need. Get a moisture retaining plant mix during summer to help with the heat and drying out of soil. Add fertilizer to the mix and keep it loose and crumbly. You don't want compact, hard dirt that the plants roots will struggle to get thru. 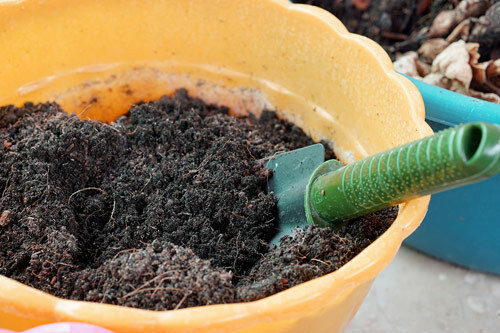 Fill your pottery with loose, healthy soil. 4. 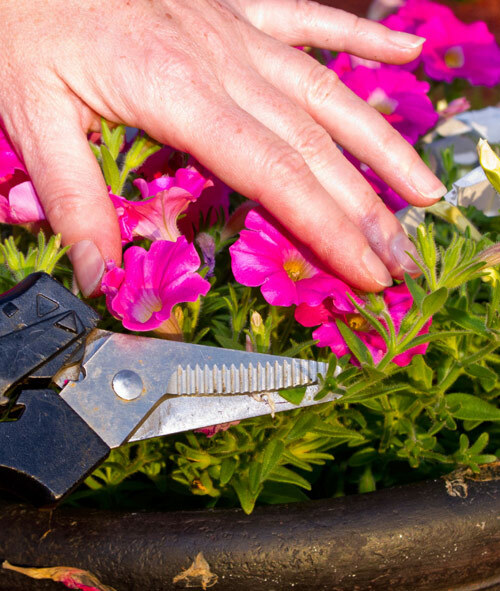 Keep your garden containers groomed. It's not just because the pottery will look better but it's healthier for your plants and flowers to keep them dead headed and cleaned up. Who wants a dead stem or branch hanging on sucking up nutrients, and moisture. 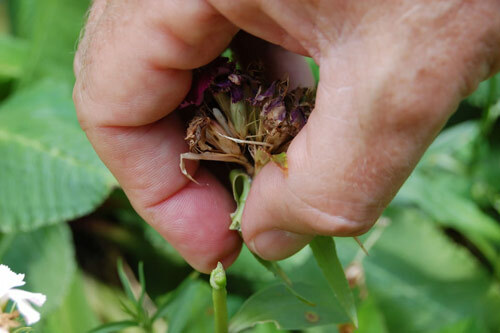 Keep them free of infestation of bugs that are attracted to damaged leaves, stems and petals. Honestly it doesn't take much to keep your garden planters looking lovely all summer long.